He was a survivor—a wanderer who traded tales for food and shelter in the dark and savage aftermath of a devastating war. Fate touches him one chill winter’s day when he borrows the jacket of a long-dead postal worker to protect himself from the cold. The old, worn uniform still has power as a symbol of hope, and with it he begins to weave his greatest tale, of a nation on the road to recovery. This is the story of a lie that became the most powerful kind of truth. 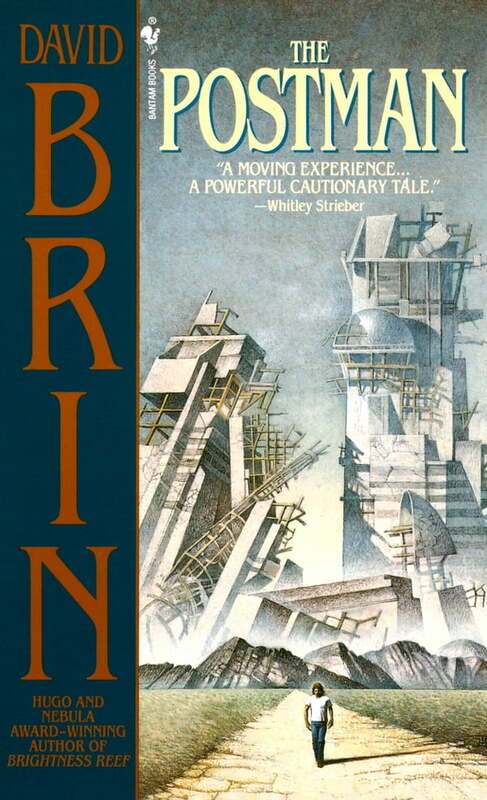 A timeless novel as urgently compelling as War Day or Alas, Babylon, David Brin’s The Postman is the dramatically moving saga of a man who rekindled the spirit of America through the power of a dream, from a modern master of science fiction.